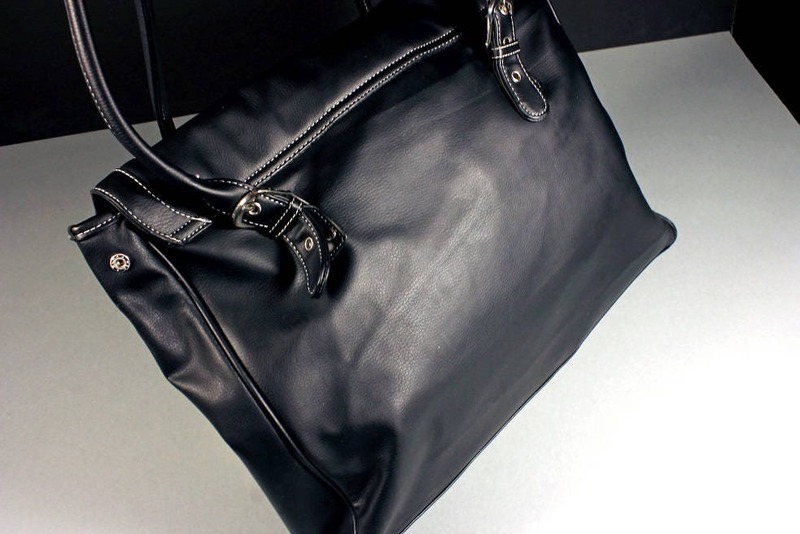 A beautiful black faux leather shoulder tote bag. It has a zippered side compartment, phone pocket, and key ring. This large bag has a magnetic closure. 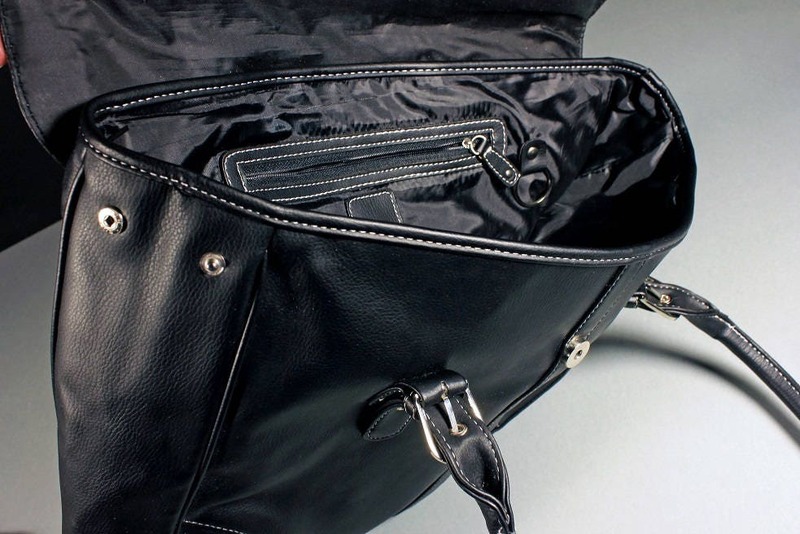 This bag has snaps on the side to make it smaller or larger depending upon your needs. 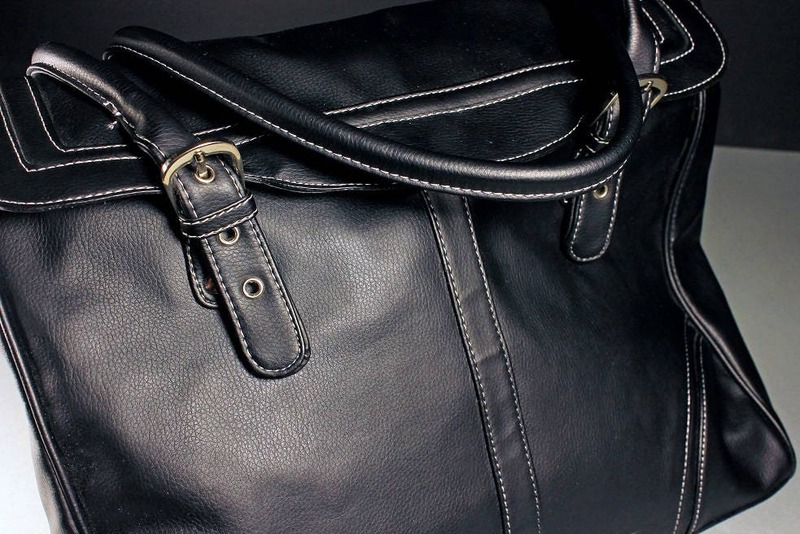 What a great bag to take on a trip. 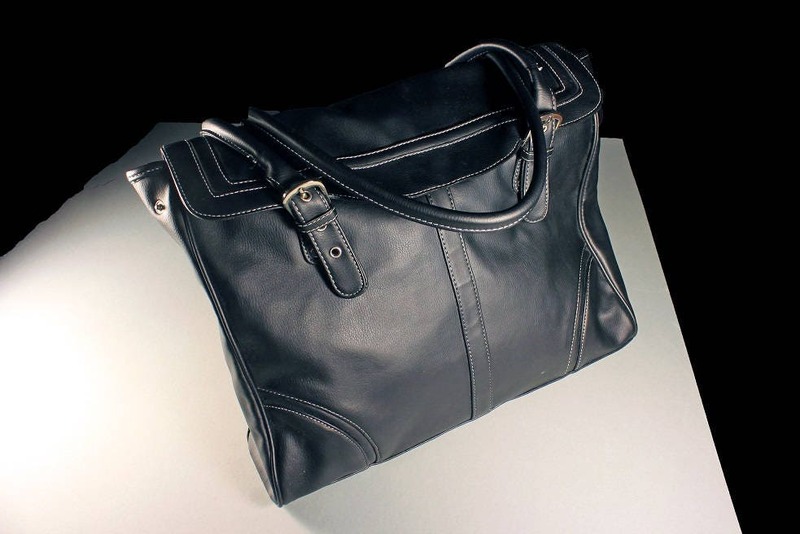 It is a wonderful statement bag and will also make a great carry-on. This bag is in "like new' condition. 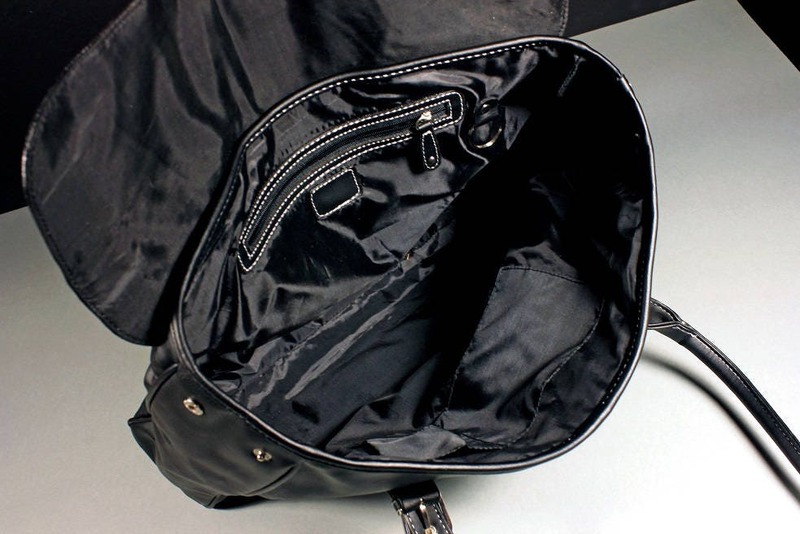 The magnetic closure and inside zipper work perfectly. There is no staining or marks on the bag.